Time is precious: enjoying every moment makes it worthwhile! 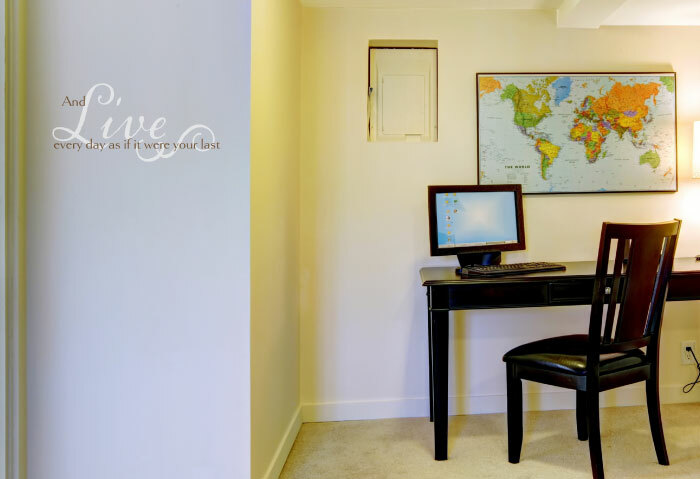 At WiseDecor, we have wall lettering that helps you mind time and decorate at the same time! 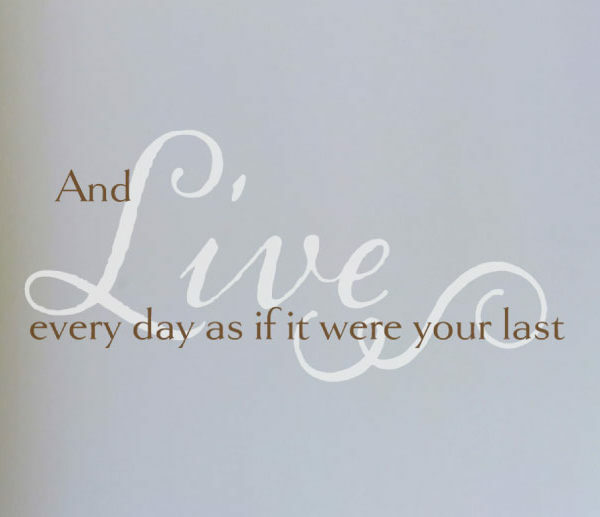 ‘And live everyday as if it were your last ‘ wall words look great in this study. The two colored wall letters are visible on this white underlying wall. They tie in well with the accents and furniture making this an eye-catching and thought provoking place to work. The swirls make for great lettering art! They help in creating a fun yet serious mood in this room. They come in various colors and size.This enables visibility when they contrast with the underlying wall. It will be easy to work in this space. Its vibrant ! 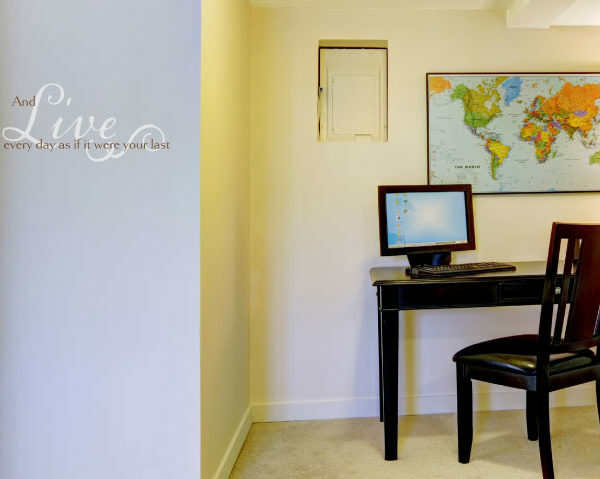 Are you looking for wall decor that is suitable for your home office? 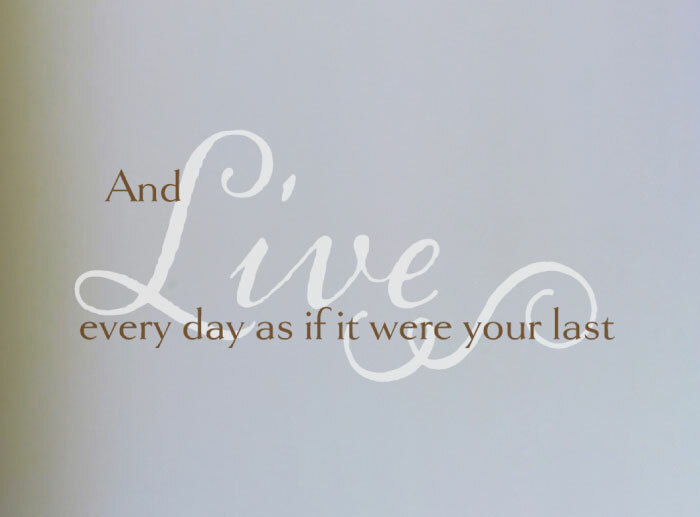 Are you looking for unique wall decals that will inspire you to make every second count? Try WiseDecor products. 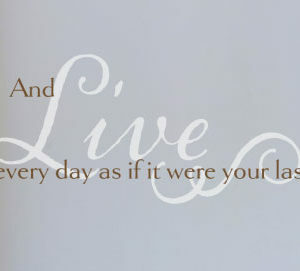 Made from resin these wall quotes are durable, which makes them resistant to cold and heat. They will look great every season! On application, the wall letters look painted on. This is a stylish look: gotten without the backbreaking work that goes with the painting task! Our designers are very creative and you will end up with quality wall letters that you will enjoy for a long time! Do call or email. We would love to hear from you!